It’s time to say goodbye to hot summer days and get ready for the new season. September is already here! Autumn is a lot different when it comes to saving money. In summer we try hard to save for holidays or rely on online installment loans to meet expenses, while in September there’s a need to buy school supplies and start getting ready for the holiday season. 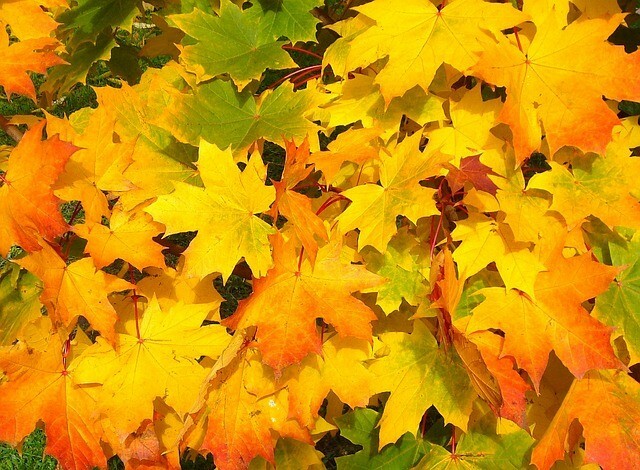 However, the first autumn month comes with numerous opportunities for saving money! Don’t waste your chance to save some and buy the necessary items with great discounts. Here are 8 things you can save on in September. If you dream to upgrade your vehicle, September is a perfect time to buy a new one. Most companies hit new models on the market while older ones become available with significant discounts. Also car dealers need to reach their third quarter goals and that’s why they let prices go down. Take advantage of it! The same like car retailers, major companies making appliances present new models in September. That means that devices of last year lose in price. However, keep in mind that this rule doesn’t work for refrigerators. It’s perfect time to visit farmers market. It’s the last month farmers can sell fresh food so they cut prices to bring as much as possible for sale. Don’t forget 20 great ways to save money on groceries and make a shopping list to avoid unnecessary spending. Highest prices for school supplies are in August and the beginning of September. To save money, you can bring something from your office and wait with buying new clothes until the middle of September because it’s when the prices will go lower and you’ll be able to save significant amount of money. December and February are the hottest moths for jewelry retailers because many people buy jewelry for Christmas and St. Valentine’s Day. That’s why autumn is the right time to check if there’s something from the last season with a good discount. If you like Apple and would like to upgrade your cell phone, then it’s just a perfect time! Most likely, you know that every September Apple announces the new Iphone so previous models lose in price. When the new Iphone is released, older models go on sale and you can benefit from it. Also it’s worth paying attention to pre-owned phones. The beginning of autumn is an amazing time to travel. Check affordable September getaways and make sure you can benefit from great discounts because in many places it’s already the end of the holiday season. Also you can enjoy quite rest because children go to school and not so many adults can go for vacation. Take advantage of many deals available on the market and keep in mind that, for example, cruises are much cheaper in September. Finally, you can turn off your air condition and open windows. Many people find fresh air much better than using air condition and when it’s not so hot outside, open windows feel very comfortable. In September air is not cold yet and you can save a lot on your electricity bill. You may feel a little sad that another summer season is over but autumn is also full of wonderful things. You can still enjoy fresh fruit and vegetables in September and freeze some to cook them in winter (don’t forget to make a berry jam for cold months!). Enjoy numerous sales and special offers but don’t forget about Black Friday when you’ll be able to buy everything you want with amazing discounts.